A father-of-four has been convicted of killing a cat in a ‘slow and painful way’. Ian Smedley, of Blakeney Crescent, Melton, pleaded guilty at Melton Magistrates’ Court to causing the death of his neighbour’s pet by setting a snare. The 33-year-old, who is serving in the Armed Forces, claimed the plastic loops were attached to the bottom of his garden gate to stop animals getting in, not to kill. Smedley’s neighbour discovered their nine-month-old pet cat dead with a noose around his neck at the end of April. 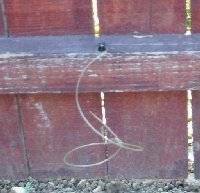 They called the RSPCA and Insp Claire Mitchell discovered and removed another two snares from Smedley’s garden. The short-haired tabby, called Jim, was exhumed to be examined by vet Craig Johnston who said it was reasonable to assume the cat was killed by the snare tightening as he struggled to free himself. Insp Mitchell interviewed Smedley who said it was never his intention to kill but he was fed up with cats fouling in his garden. Smedley added he was worried about his unborn baby’s health when a cat got in the house and urinated on a mattress. Smedley added he had seen enough death in his job, but if he caught a cat in his house he would treat it as vermin. Smedley was sentenced to 150 hours’ unpaid community service, to be completed within a year, ordered to pay £250 costs and banned from keeping animals for five years. 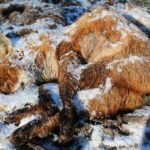 Help us to ban snares! 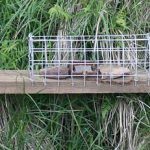 Fenn type traps to be banned by 2020! 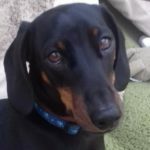 In Memory of Murphy, Lets Write Those Letters! 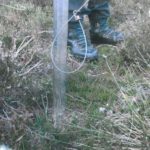 The National Anti Snaring Campaign is the UK’s leading animal welfare organisation campaigning against the sale and manufacture of animal snares. We also aim to increase public awareness of the cruelty of snares.